Two incredible fetes and a Summer Skate/Scooter Jam in Rolleston rounded out the Council’s Summer in Selwyn event programme. The summer has seen Selwyn communities come together at their local reserves, facilities, pools, skate parks, libraries, halls, schools and basketball courts to enjoy over 60 Council and community events. Council events included a Teddy Bears’ Picnic, Summer Skate/Scooter Jams, Outdoor and Drive-in Family Movies, A Month of Sundays, Pool Parties, Picnics in the Park, Summer 3X3 Basketball Jam, and events at Selwyn Aquatic Centre and Libraries . Some great comments from attendees throughout the season included “Summer in Selwyn provides a great opportunity for the community and builds community spirit”, “The outdoor activities are great for getting the kids active” and “The event had a nice, friendly atmosphere where all are welcome”. 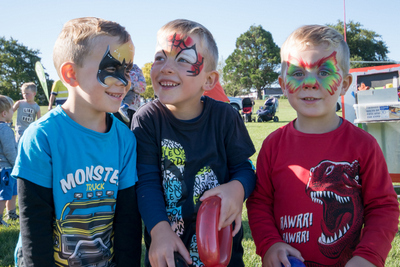 Community organised events ranged from Christmas parades, Waitangi Community Fun Day, triathlons and duathlons, Children’s Day, Hot Topics and Fêtes. Thank you to all of you who came along to these fantastic community events, we look forward to another Summer in Selwyn season kicking off in December 2019! For more events throughout the year and for the next Summer in Selwyn season like and follow our Facebook page.